COSSA has released a new publication in its HOT TOPICS series, Reducing the Regulatory Burden on Federally-Funded Researchers. HOT TOPICS are periodic, featured articles prepared by COSSA staff members offering insights into timely issues important to the social and behavioral science community. This edition was written by Camille Hosman, who joined the COSSA team earlier this year. The report provides an overview of some of the major efforts made in recent years to better understand issues of regulatory burden and to begin to develop roadmaps for addressing it. While there is no shortage of ideas, given the complexity of the topic and the many players– federal agencies, Congress, research institutions, and researchers themselves– the path to relief is less clear. Read on for the full report. On July 28, National Institutes of Health (NIH) Director Francis Collins announced the appointment of Joshua A. Gordon as director of the National Institute of Mental Health (NIMH). 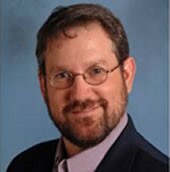 Gordon is currently an associate professor of Psychiatry at Columbia University Medical Center and research psychiatrist at the New York State Psychiatric Institute. Additionally, he is an associate director of the Columbia University/New York State Psychiatric Institute Adult Psychiatry Residency Program. His lab studies genetic models of psychiatric diseases from “an integrative neuroscience perspective and across multiple levels of analysis, focused on understanding how a given disease mutation leads to a particular behavior.” Gordon is expected to begin his tenure as NIMH director in September. The social and behavioral science community is strongly encouraged to provide input and suggestions to the Institute as the above research areas may hold potential opportunity for further incorporation of behavioral and social science research into NIDCR’s portfolio. The proposed FY 2018 initiatives will be integrated into the Institute’s research portfolio as they are considered for funding, Somerman noted. She cautioned, however, that the identified “initiatives are not a complete picture of the Institute’s planned research portfolio for the year indicated, nor do they signal that themes highlighted the previous year have been abandoned.” Some of the FY 2017 initiatives have become formal funding opportunities and other proposed initiatives “are still under development.” Comments and/or suggestions are due September 9, 2016. The National Academies of Sciences, Engineering, and Medicine’s Roundtable on Population Health Improvement recently released the proceedings of a workshop titled, Framing the Dialogue on Race and Ethnicity to Advance Health Equity. The workshop was designed to share “strategies for individuals, organizations, and communities to advance racial and health equity.” It addressed such topics as “increasing awareness about the role of historical contexts and dominant narratives in interpreting data and information about different racial and ethnic groups, framing messages for different social and political outcomes, and readying people to institutionalize practices, policies, and partnerships that advance racial and health equity.” The proceedings are available here.